Don't take water for granted. Water accounts for around 60 percent of your body's total weight. Your body relies on water to keep your vital organs functioning properly; water transports essential nutrients to your cells and keeps the membranes in your nose and throat moist. Dehydration occurs when you don't drink enough water for your body to perform at optimal levels, resulting in lethargy and fatigue. The best ways to drink water are to drink it straight up and frequently, especially during exercise. The amount of water needed depends on several factors, such as your level of physical activity and whether you're pregnant or breastfeeding or have lost fluids due to fever, vomiting and diarrhea. If you live in a hot or humid climate or at an altitude of more than 8,200 ft., you may also need more water. However, most doctors recommend that you drink between 8 to 9 cups of water a day. Another way to see if you're getting enough water is to examine your urine output; if you produce at least 6.3 cups of urine a day that's either colorless or slightly yellow and very rarely get thirsty, you're probably getting enough water. Flavored vitamin water gives the taste of your water a boost and increases the amount of essential nutrients you get, but it also may contain extra sugar and calories. If you eat a wide variety of nutritious foods, you don't need vitamin water to supplement your diet. Plain water is your best bet if you're watching your waistline -- and it's cheaper, too. 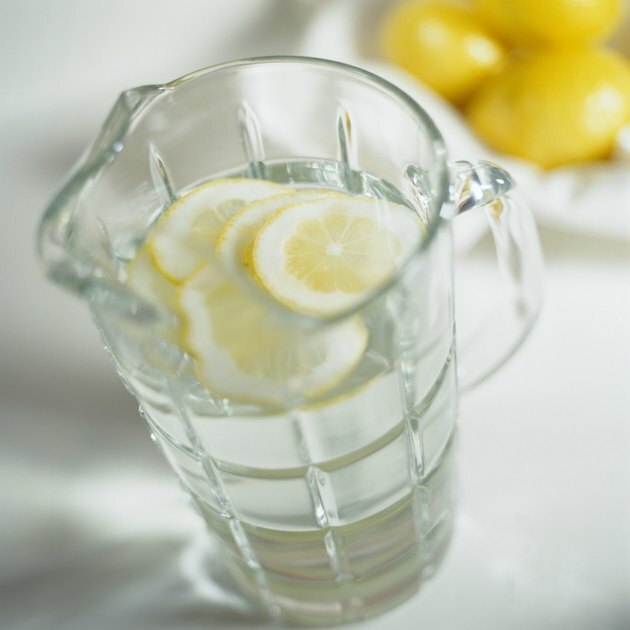 But if you want to give a little zest to your water, add a slice or lemon or lime or a tiny spritz of fruit juice. The U.S. Food and Drug Administration is the regulatory agency that monitors bottled water, while the Environmental Protection Agency monitors the quality of the water that comes from your taps. Your water utility company must provide an annual report to you indicating the source of your water, as well as any contaminants it may contain. Unless you simply prefer the taste of bottled water, tap water is a less expensive way to stay hydrated. If you exercise regularly or engage in a favorite sport, keeping hydrated while you're active is essential to replenishing the fluids you lose while you sweat. Dehydration leads to fatigue and problems with coordination. Don't wait until you're dying of thirst to reach for your water bottle. ACE advises drinking 17 to 20 ounces of water two hours before you exercise; 7 to 10 ounces every 10 to 20 minutes while you're working out; and another 16 to 24 ounces for every pound of body weight you lose during the course of exercise.